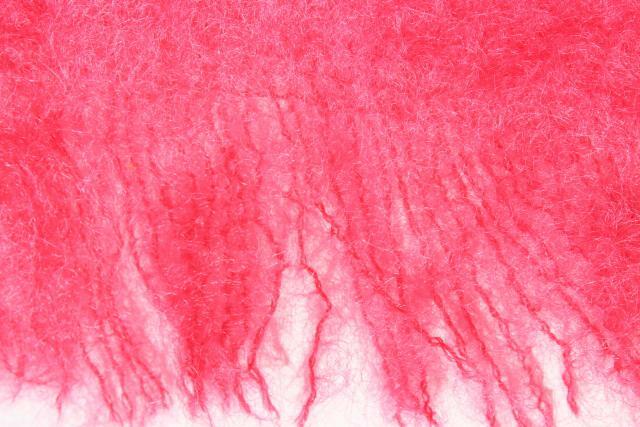 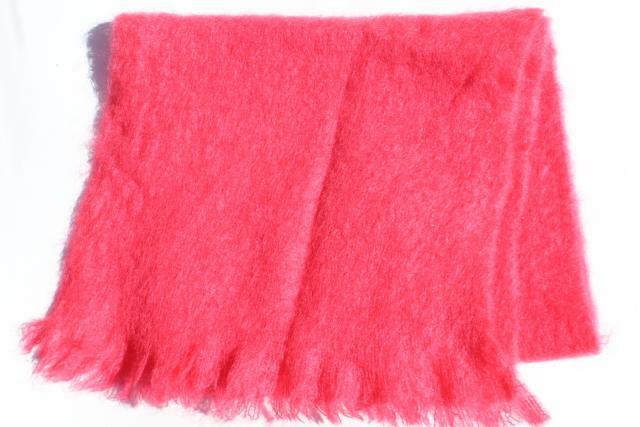 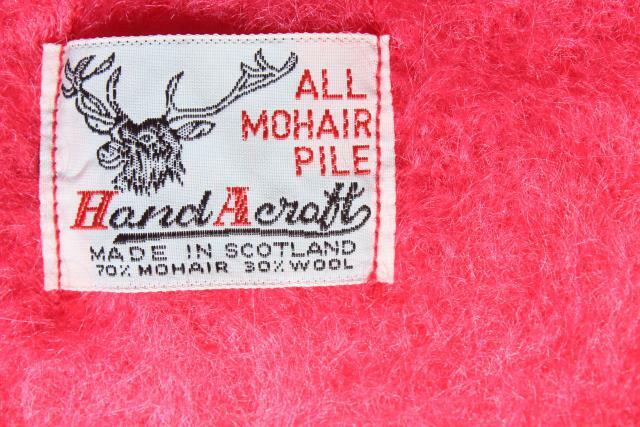 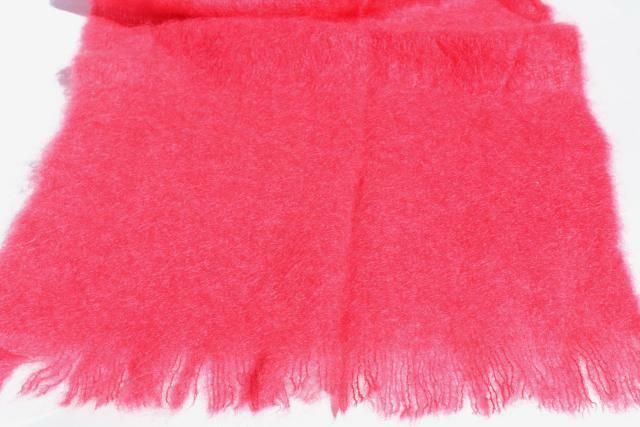 Unused vintage Scottish mohair wool scarf, very fluffy, very pink! 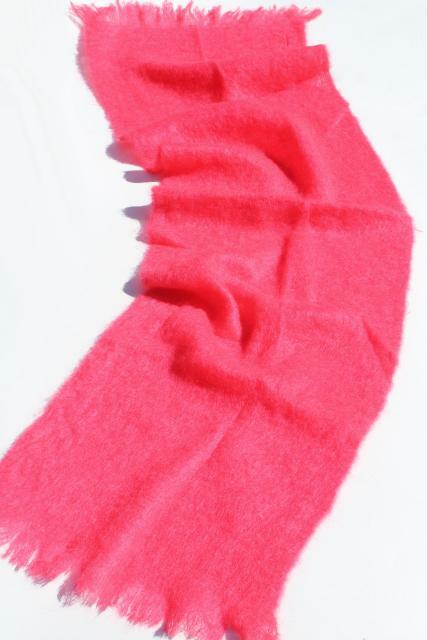 Pretty and cheerful for fall, winter or spring. 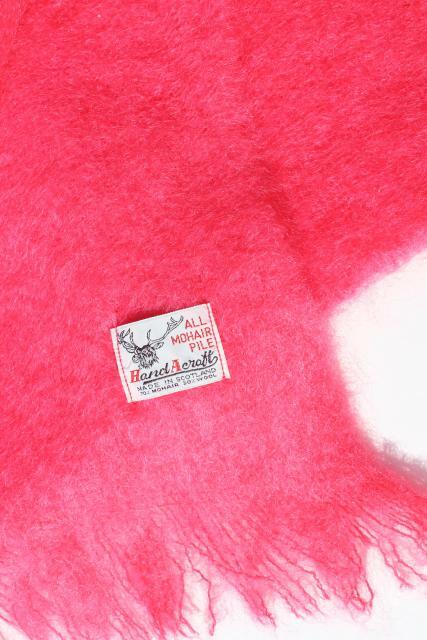 Label is Hand A Craft, size is 19" x 32" long. 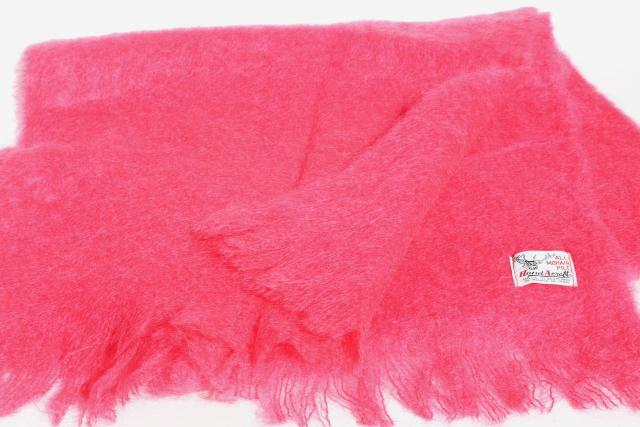 This is in very nice condition, clean, without holes or damage.